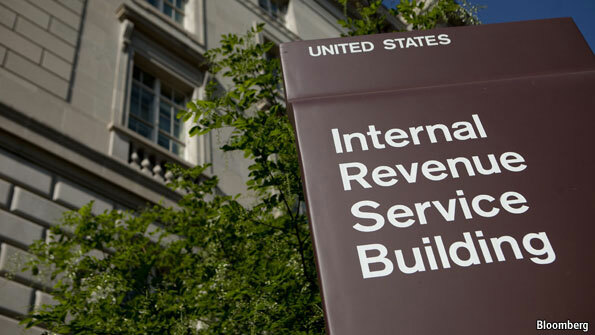 The Internal Revenue Service has given a $2 million reward to a whistleblower who exposed an alleged tax avoidance scheme by an Illinois tool maker that cost the U.S. Treasury hundreds of millions of dollars. The allegations reported by the anonymous whistleblower against Illinois Tool Works involved the artificial replication of tax basis. A Swiss bank allegedly duplicated its own tax deductions in order for ITW, as a client and unrelated taxpayer, to claim the same deductions as an offset to ITW’s otherwise taxable income. It is the third time the whistleblower, represented by Phillips & Cohen LLP, has received a seven-figure reward from the IRS, the law firm noted. Last year, the IRS Whistleblower Office awarded him $1.1 million for information about abusive tax shelters allegedly set up by Wall Street banks to help Enron evade taxes on more than $600 million of taxable income. UBS expects Swiss banks to see European clients withdraw "hundreds of billions of francs" as a result of steps to stop foreigners using secret accounts to evade taxes. Juerg Zeltner, head of UBS wealth management, reiterated an estimate he gave in May that Switzerland's biggest bank could see outflows of 12-30 billion Swiss francs ($12.8-31.9 billion) from total European assets under management of over 300 billion. "As a consequence of the realignment of the financial centre and the planned withholding tax, we assume that a total of hundreds of billions of francs will flow out of Switzerland," he told the Schweizer Bank magazine in an interview on Monday. Tax losses to the United States amount to $1 trillion over a decade, according to the Congressional Research Service...Across Europe, experts say tax dodgers undermine economies in places such as Greece and Spain, threatening the euro as a whole. It isn’t just tax dodgers or “old money” in New York or London who use the accounts. New players have caught on. For every $1 that Western companies invest in China, a Trib analysis found, the Chinese hide $4 offshore. “How Delaware Thrives as a Corporate Tax Haven” detailed how the oldest state in the union enables some of the most heinous crimes by allowing arms traffickers, corrupt Washington lobbyists, and drug smugglers, among others, to anonymously shield their activities from law enforcement under the guise of a legitimate U.S. corporation. While Delaware may be the biggest example, it is not alone. Nevada, Wyoming and most other states allow varying degrees of anonymity while incorporating. “Keep the Dictators Out of Malibu,” makes the case for the Incorporation Transparency and Law Enforcement Assistance Act—bi-partisan Congressional legislation which would ban anonymous shell companies from the U.S. financial system...it explains how corrupt foreign dictators, such as Equatorial Guinea’s Obiang family, have used anonymous U.S. corporations to steal from their people. Indeed, a recent World Bank report revealed that the United States was the top destination for corrupt foreign officials establishing offshore shell companies to launder their money and gain access to the global financial system. Charlie Rose ON BLOOMBERG TV: Bill Browder, CEO and co-founder of Hermitage Capital Management discusses his efforts to investigate the death of his former attorney Sergei Magnitsky who died in prison after revealing a 230 million dollar tax fraud perpetrated by Russian government officials. After the financial crisis—and the demands it placed on government balance sheets—a 2009 summit of the G20 economies decided to do something about the world’s gigantic tax-avoidance problem. 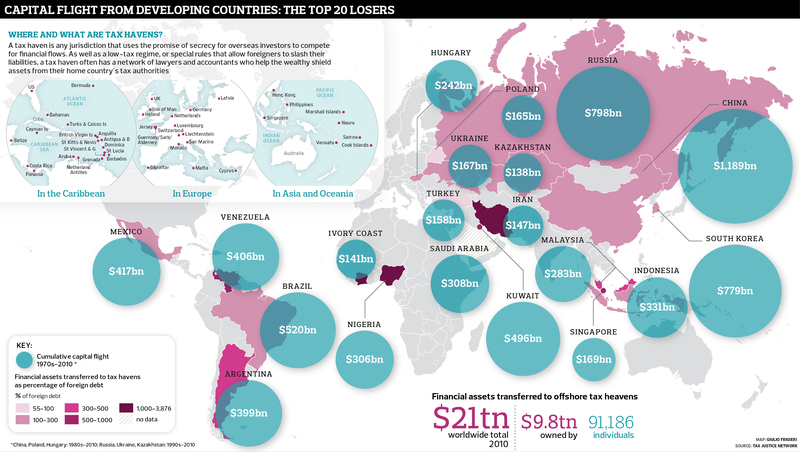 According to Britain’s Tax Justice Network, at least $21 trillion and as much as $32 trillion of “unreported private wealth” is being held in tax havens worldwide. The summit launched more than 300 international treaties to force countries acting as tax havens to share information about cross-border bank activity. Nearly $80 million of suspected criminal assets frozen by court orders - and a further $17.5 million worth already seized - has been described by police as the "tip of the iceberg". Multimillion-dollar homes, high-performance cars, motorcycles, cash, boats, artwork and jewellery are among the valuables seized since new laws to fight organised crime came into force less than three years ago. There are 590 assets held under the Criminal Proceeds (Recovery) Act estimated to be worth $78 million. They include 104 residential properties, 229 bank accounts or cash, 116 cars and 40 motorcycles.